** Highly Recommended ** This unit connects to your laptop or PC via USB connector for easy setup and management. It can be set to instantly forward calls or forward after a configurable number of seconds if you want calls to ring in the office before forwarding.This unit can also be used as a standard GSM Gateway for normal outgoing voice calls. This Follow Me GSM Gateway provides the ideal solution to eliminate the cost of forwarding calls from a landline to a mobile phone. This unit has the unique benefit of being remotely configured via sms text message. So if you are on the road and need to change who calls are forwarded to, or switch forwarding on and off. Just send it a text. When using normal call diversion services from landline telephone suppliers any calls to the landline number are routed to a mobile phone number - the telephone company will then charge for each minute that the caller receives diverted calls - for a busy tradesman that can mean recieving and paying for 60 minutes of calls per day - at a cost of 15 pence per minute it quickly adds up to hundreds of pounds per month in diverted call charges. By connecting the Follow Me GSM Gateway to your telephone line and inserting a suitable mobile phone SIM card calls can be diverted directly via the mobile phone GSM network - and depending upon the mobile phone tariff these calls can be free of charge - all that is payable is the initial cost of the Follow Me GSM Gateway and the monthly rental of an additional SIM card. You work for a small business. Like most small businesses your landline is listed in the phone book, in Yellow Pages and in trade directories. You are frequently out of the office visiting customers or travelling. So you are completely dependant on your mobile phone whilst you are out. But you don't want to reveal its number to the public because you also use it for personal calls and text messages. So you've got a choice. You either connect an answer machine to your landline or use a voice mail service. Either method creates problems for you. You have to go back to your office to retrieve messages or even if you can pick up messages remotely most of your customers are now phoning your competitors because they can never get to speak to you. So you decide to divert your landline calls to your mobile. The first problem is that you can only set up and change the divert on a telephone connected to your landline so you have to be in your office, the next problem is that you never remember the special set up codes, the third problem is that you have to pay a quarterly fee for the 'service' and worst of all you have to pay around 16p a minute during peak hours for the forwarded call. If your company uses a non geographic number beginning with 08 you are probably paying more than 30p per minute to have your call diverted by service provider. On some landline networks diverted calls takes a long time go get through and some callers get so confused by the different ringing tones that they hang up thinking that they've got a wrong number. Here's how the Burnside Follow Me solves all of your problems. Using the keyboard on the office phone and the plain english menu on the Burnside you enter the number you want your calls forwarded to. When your out of the office you can send a text message from your mobile phone to your Burnside to change or cancel the number your are diverting to. To increase the chances of a real person anwering incoming calls you can have your office phone ring even when calls are being forwarded. This is really useful particularly if you forget that you have diverted calls from your office phone. Whoever picks up first takes the call. 2N SmartGate is a single-channel analogue GSM gateway, which provides a number of services for cost efficient way of communication. It is intended for small size companies and households and its main objective is to save the users a lot on GSM call costs. 2N SmartGate can be connected to a PBX, to a standard telephone set or to PC (LAN) and can be used for Voice, Data through GPRS, SMS and PC Fax transmission. 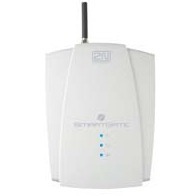 2N SmartGate features outstanding functionalities which are as follows: Cost Saving Effect: Using 2N SmartGate analogue GSM gateway you can save half of your company telephone bills since all calls directed to GSM networks are routed through 2N SmartGate and extortionate bills for the PSTN-GSM connection are avoided. DialThru function: A great advantage of 2N SmartGate is its DialThru function. When you connect this GSM gateway to your standard telephone set, you can call directly to the PSTN and GSM network. FXO and FXS ports: 2N SmartGate is equipped with both FXS and FXO interfaces. It can be installed on a PBX trunk line (FXS port), a PBX extension line (FXO). Follow Me: With 2N SmartGate on a PBX extension line, the new feature "Follow me" makes the user accessible any time and anywhere on the mobile phone to people who dial the user's fixed number assigned by the PBX. Low Credit Info: From now on, you do not have to worry about information on your prepaid SIM card status. You can configure the gateway to receive a "LOW CREDIT" SMS message whenever the SIM card credit gets below a pre-programmed amount, GPRS connection:The GPRS connection enables e-mail communication and Internet browsing. It is often used as a back up internet connection for small offices, or primary internet connection on boats or in distant areas. SMS sending and receiving:SmartGate enables all LAN users to send and receive SMS with a 2N network application - the SMS server. The delivery status of any message can be obtained automatically. Accessories: EnergyBank a back-up power supply that can be used with any equipment requiring 12V supply, ex. 2N SmartGate. With this product any 12V equipment can work for a substantially longer period of time without stable feed. 2N SmartGate package includes accessories as follows: Telephone cable, Serial cable, Supply adapter, CD with SW, GSM antennas, Input connector for SMS sending and Screws with dowels. Installation: 2N SmartGate can be installed within a few minutes and its installation requires no special technical skills. Replaced by T940L newer version above.